There are many people with the goal of climbing the tallest mountain on each continent, or the Seven Summits. That is an impressive goal and even more impressive when people have done it. According to Wikipedia as of December 24th 2011 only 118 people are know to have climbed all seven summits. 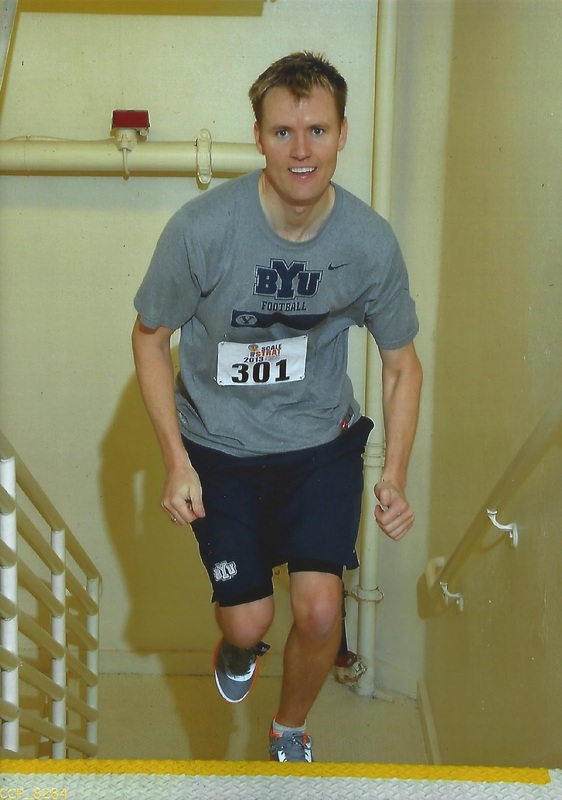 My bucket list goal is to run up the stairs of the tallest building in each of the 50 U.S. states. While I will not need the same type of training as the amazing mountain climbers there are still obstacles and challenges to this lofty goal. I am keeping myself fit and in shape by running up as many tall buildings I can but really the challenge is travel to these locations, finding the time to do it, gaining approval to enter the buildings and having the money to pay for it. If I can accomplish this goal I am confident I will be the only person to have ever done this. On this blog I will detail my efforts to train and execute on this goal. I welcome you to follow my efforts through subscribing to my blog and if you would like to be a part of this great task then contact me and lets coordinate our tallest building climbing efforts. As for who I am, I am a 33 year old husband and father of three children. I am a sales professional for a biotech company and live a regular life like many middle class Americans. My work territory covers states in the southwest so while I am travelling it is a great workout to run stairs and it gives me something to look forward to while on the road away from family. I don’t know how long it will take me to accomplish this goal but I am determined to make it happen. Much of my determination comes from my dedication of this quest to my sweet niece Whitney Anderson. Sign up to get emails of my blog posts, add your comments and enjoy the climb! HI i understand you goal is to climb the tallest buildings in each state. BUT you should totally come to Toronto and run the stairs of The CN tower. people have done it before and its still a big accomplishment.